The PA-FE-FX single-width port adapter provides a 100-Mbps, 100BASE-T fastÂ EthernetÂ interface and supports both full-duplex and half-duplex operations. The PA-FE-TX has an enabled LED, standard on all port adapters, and a bank of three status LEDs for the ports. CiscoWorks network-management integration, including CiscoView applications, to provide device status and monitoring, simple configuration, and minor troubleshooting. Simple Network Management Protocol (SNMP) support through standard Management Information Bases (MIBs), enabling visibility and management control on SNMP-supported network-management stations. ISL support for high-performance routing between multiple Ethernet VLANs. IEEE 802.1d TB-VLAN support for transparently bridging VLANs. Maximum transmission unit (MTU) frame support (up to 1,500 bytes) for Token Ring ISL applications. 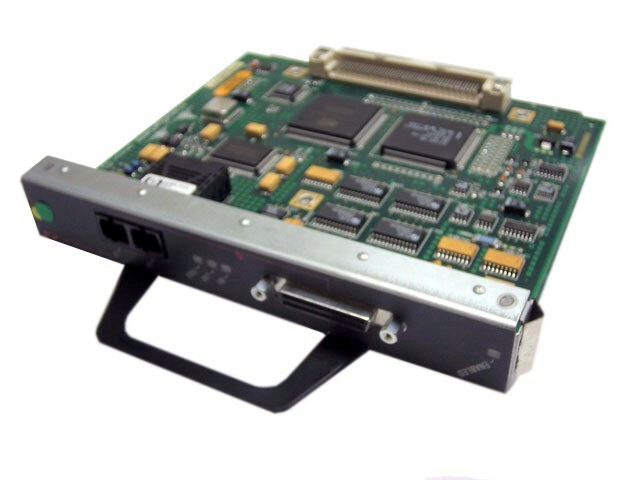 Cisco fast Ethernet port adapters may be used in an open port-adapter slot on Cisco 7200, 7301, 7401 Series routers, in open bay within Cisco second- and fourth-generation Versatile Interface Processors (VIP2 and VIP4) on Cisco 7500 Series routers, or on Cisco 7304 with PA Carrier Card.